Skip the car ride, your pet will thank you. We hate waiting in line, and your pet probably does too. With our in-home grooming service, one of our skilled groomers will take care of your pet right in the comfort of your home. This means no kennels, no lines, no other pets and most importantly - no distractions. We clean-up when we are done, and leave your pets smelling and looking their best. We also offer recurring appointment options, and can even schedule for when you are away or at work. 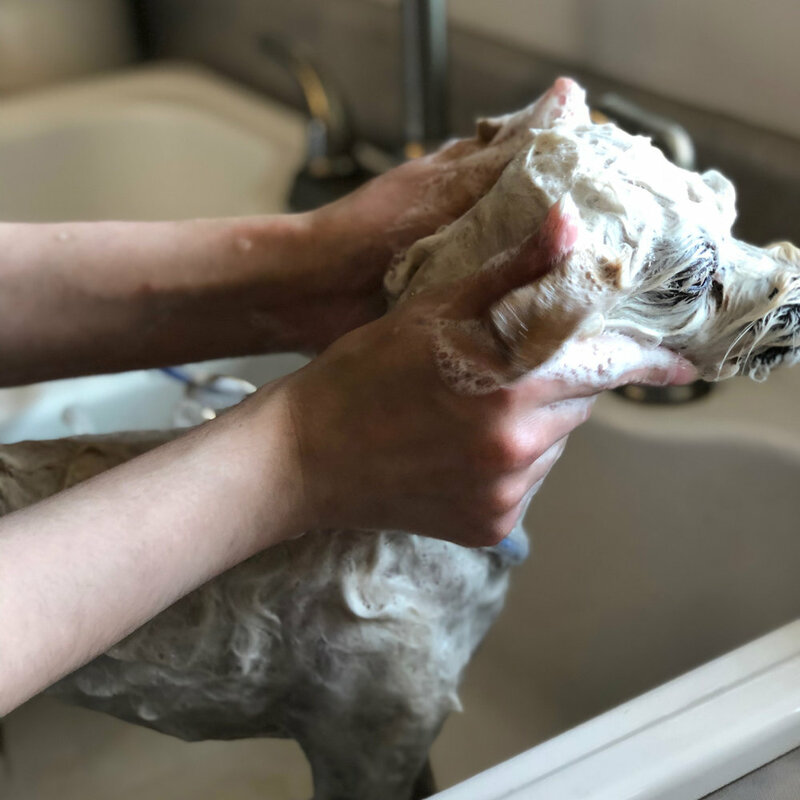 We work with you to ensure that pet grooming is something positive for both you and your pet, and you can come home to a clean pup without it being an inconvenience. Let your pet get salon level treatment right from the comfort of their favorite place - your home. 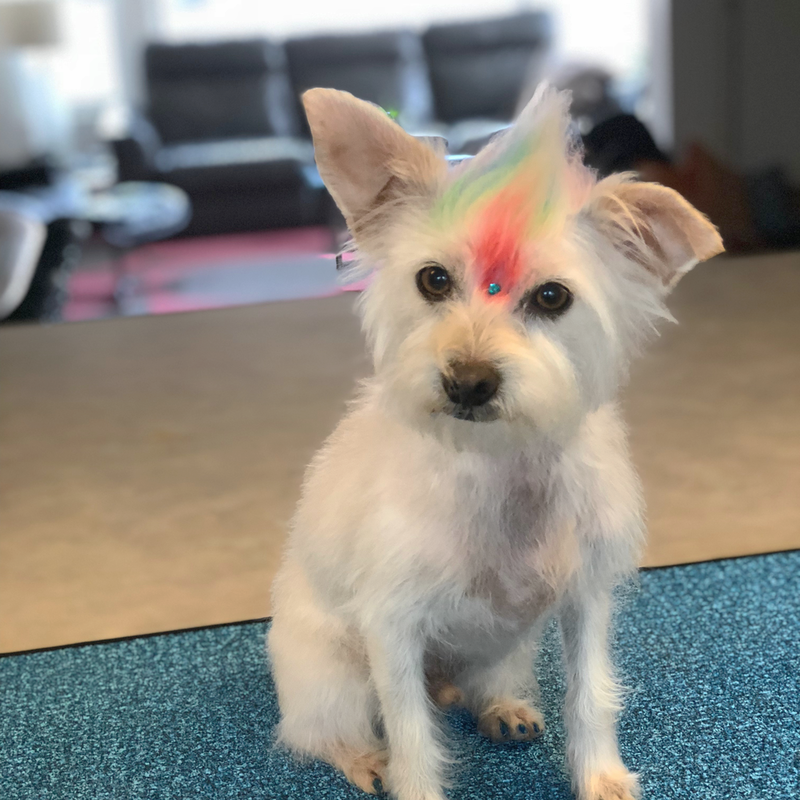 We offer upgraded packages and unique accessorizing without all of the stress of the grooming salon. We believe that just like you, your pet has unique needs. This means that your yorkie doesn't get the same shampoo as your labrador retriever - because just like human hair, your pet deserves a product that is engineered to make them look their best. Each pet we style receives a custom regimen designed just for them, whether it is the shampoo, conditioning treatments, finishing sprays and styling products - or even skin treatments like paw soaks or mud baths, you can be sure that your pet is getting the very best - hand chosen just for them.